Can you identified the girls in this photograph? 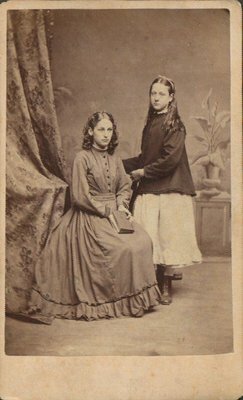 A cabinet photograph of two young girls. David C. Butchart is listed as operating photography business in Toronto on 145 King St. from 1864-1873.
size up to real life, and Painted in Oil.